Owning a piece of real estate in the Philippines fulfills a dream. Progress and development move the country further ahead as the place to live, retire or invest. Being an OFW or Filipino immigrant abroad gives you an edge on prime spots. The country’s more than 7,000 islands provide choices from the small towns to the big cities. 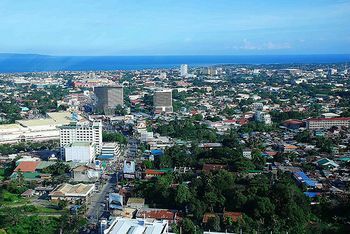 Houses, apartments or high-rise condos can provide comfort in highly urbanized places like Metro Manila, Cebu or other cities. 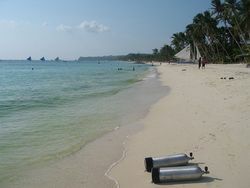 Or properties can be along white sandy beaches in the Philippines. You might think that Philippine real estate is pricey with these factors. But still unexplored places even in urban areas can be bargains. You do not need a global property guide to discover best places and live your dream. Raw land or lot gives you freedom to build your dream home. Or you can buy during pre-selling from a reputable developer. Buying new or old house is another option. An old house may be a foreclosed property. Each has its own pros and cons. Location, your budget, your needs and an expert realtor can help you decide. What type of house do you want? Is it single-detached, apartment, townhouse, condo or condotel unit? Again, there are factors to help you decide. A single-detached house gives you more space and privacy. Living in a shared building allows you to live with other people in prime spots. Do you want farm land where you can build your house in the middle of rural peace and tranquility? Most Filipino retirees go farming because farming makes one closer to nature. You observe how nature works in the plants, animals and fishes you nurture. Philippine beaches are among the finest in the world. Breathtaking beachfront properties offer laid-back or adventurous lifestyle. Developers combine nature – bountiful marine life, coastline with ivory-like sand, lush surroundings – with that feel of island living. A beachfront property is the best option to be along the beach. It is a great place to live. Activities never run out. You can explore the underwater world, enjoy the ocean breeze or just listen to the waves. Amazing things become part of everyday life. A piece of real estate along Philippine beaches leads to unusual travel destinations because of the “unexplored” pristine islands. An island reveals one secret after another. There are even private islands for sale! Land, sea and air transport connects you to other islands and places. Before you jump into closing that deal, get a no-nonsense guide in buying real estate. You need an expert real estate agent or broker. They will help you address issues in owning a piece of Philippine property. 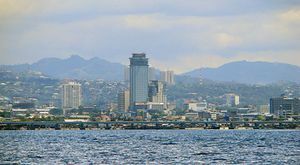 Only Filipino citizens can own real estate properties in the Philippines. Aliens cannot own land except by inheritance. They can own houses, condominium units or apartments in high-rise buildings but not the land on which they stand. Foreigners can lease land up to 50 years, renewable for another 25 years. Or they can acquire land through 40% foreign-owned corporations. They can purchase up to 40% shares of condo and townhouse projects but not townhouses with individual titles. Costs in closing a deal, who should pay for them and how much can cause headache. These include all costs of buying or selling properties – various taxes, legal fees, agent's fee. Avoid these pitfalls. You may end up paying more mainly if you are ‘attached’ to the property. Thinking of a business before retirement? Real estate is a powerful tool to build a passive income. Read here on how to invest in real estate. Owning a piece of real estate is a dream of OFWs and Filipino immigrants. Choices of houses, apartments, condos or other properties are not lacking. And buying real estate in the Philippines now makes it more a bargain because prices have nowhere to go but up.